Over a year now, the most profitable and fastest growing traffic source that our clients are using is to drive sales for Facebook advertising. And if the Facebook’s ad revenue growth is anything to go by, we’re not the only ones who are spending more on Facebook ads. According to a survey conducted in 2016, the advertising revenue jumped from $3.3 billion to 5.2 billion in the first quarter. This exponential growth describes that a majority of the advisors are spending more because they are making more. As a SMO service provider, we have seen the same process and expected different results, by picking up a few techniques that can be applied to the most campaign ideas to increase your chances of success. By using Facebook, you can expect to get a certain number of likes, shares and clicks. These numbers are misleading; making you think that your campaign is more effective than it is in actual. The number which doesn’t lies is sales. Regardless of the engagement metrics, the sales numbers are the ones that really matters. This doesn’t mean that you ignore the engagement metrics; because they are an indicator of interest in something that you’re doing right. You need to match up the ads with the revenue, to better understand what is working and what is not. Starting with an idea is reliable, as some individuals make logical mistakes while crafting an ad. A sound concept doesn’t mean it will result in success. You need to start with information first and then step by step build the ad. For instance, before starting with a product, make sure to understand the demographics that comprise the target. Then you need to form your value proposition all before you even start to work on designing the actual advertisement. Creative ideas that you are assuming can be fantastic and target audience shares your exact view point rather than the actual data. The offer itself is very much important. This might seem impossible, if you once look at the concept from the proper angle, there is a sensitive issue that takes place where the target audience, parents, can see how they can help each other while buying something. Most of the individuals like to spend money, it is just a matter to think that buy what that you can offer is their idea. The good copy isn’t important, but without a strong offer it loses some of its power. As a SMO Service Provider Company, our main goal is to provide strong offer than your competitors. Firstly, analyze your competitor’s work and after that launch a campaign that is just slightly better than you competitor offer. The end result is that digital marketing is not an easy task to perform. If you are using Facebook for marketing, then you must craft successful campaigns that earn more money. 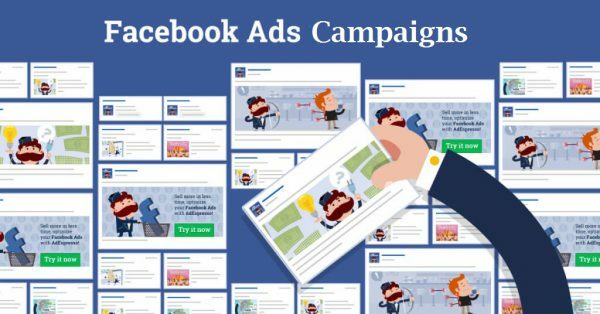 One of the best way is that you can do is by undertaking the above aspects for making a Facebook ad campaign that works, which we outlined today and incorporate them into success, that helps in increasing the end result of your next campaign. We have seen the same process fetch difference results, by picking up a few techniques that can be applied to any social media channel to increase your chances of success. Facebook undeniably is among the best sources of fetching traffic and engagement, followed by YouTube, Instagram, LinkedIn and Twitter (learn how Twitter can help in increasing engagement). Get in touch with us today for more insights!